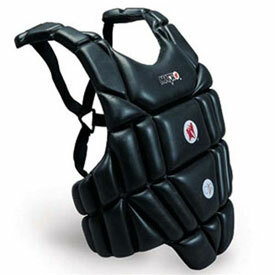 You need a high-quality chest protector for your martial arts sparring. 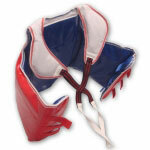 Worry not, for the solid reversible Competition Chest Guard provides top quality sparring protection. 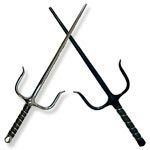 This martial arts hogu has an easy-to-reverse design, which ensures that sparring partners will be easily distinguished by judges and captive audiences, even from hundreds of feet away. 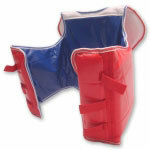 Sparring chest guards are mandatory in World Taekwondo tournnaments, as well as Olympic-style competitions. 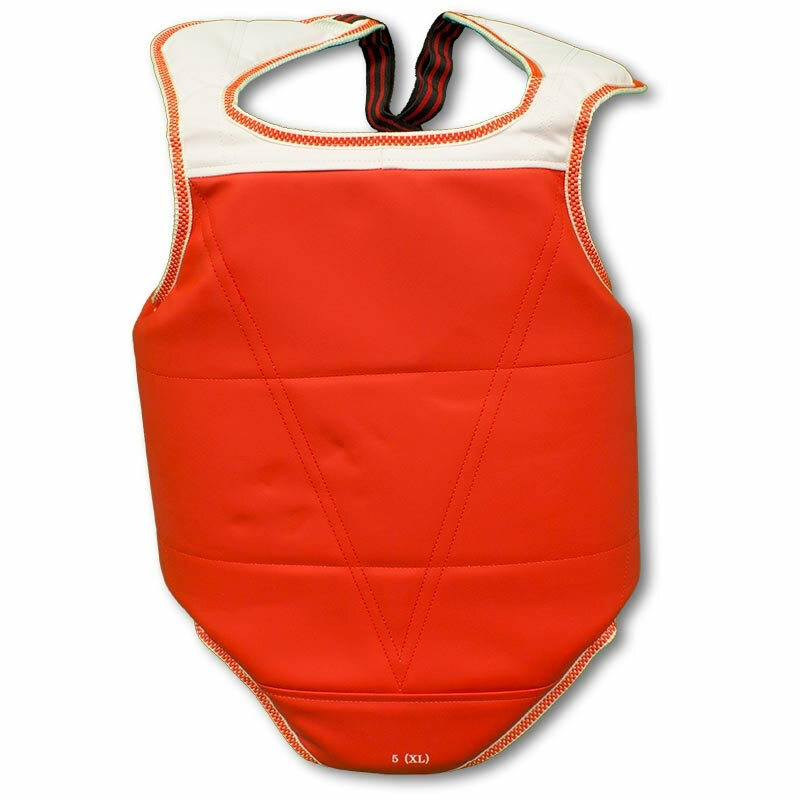 In general, chest protectors should protect your chest. The taekwondo chest guard doesn't stop at just your chest, though. 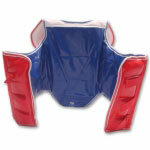 With this sparring chest protector, you get a better chest guard with protective shoulder pads. This sparring armor also covers your stomach and groin. 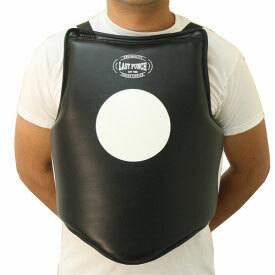 What Makes this martial arts chest guard better? 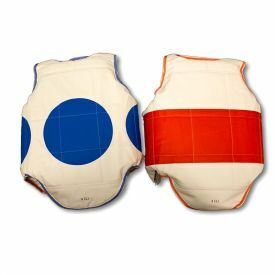 How easy is our taekwondo chest protector? Can you tie knots behind your back? Well, do you have a friend or coach who could help you? 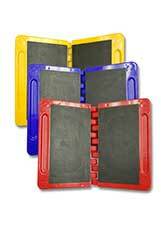 Do you have the ability to move with just the right amount of vinyl and foam padding? Then it's easy! 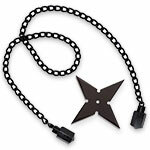 With this karate chest guard, martial arts is easy because it's reversible. Do you like wearing red better? How about blue? With this reversible tournament chest guard, you get to choose. 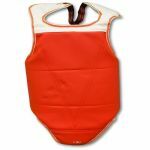 When you wear this chest protector, karate and taekwondo matches are safe and fun, whether you're a young person looking for a youth chest protector or a woman in need of a female chest protector. 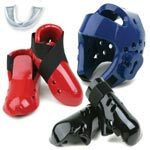 Get your own karate chest guard and martial arts sparring will never be the same.